The Canterbury Employers’ Chamber of Commerce won the New Business Excellence Foundation Not for Profit Award at the 2013 AUT Business School Excellence in Business Support Awards in Auckland on Thursday 5 September 2013. 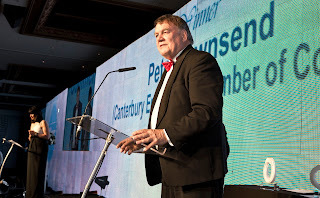 At the same event Peter Townsend, Chief Executive of the Canterbury Employers’ Chamber of Commerce was awarded the Fuji Xerox Leadership (Individual) Award. 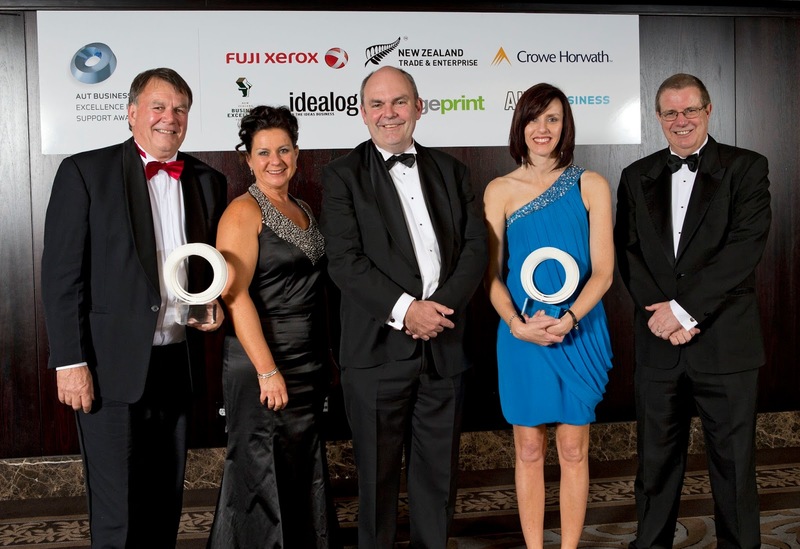 The Awards were presented at a Gala Dinner attended by 750 dignatories, involved 46 finalists in various categories from across New Zealand, all involved in various forms of business support. The Canterbury Employers’ Chamber of Commerce and Peter Townsend’s Awards reflected the Chamber’s role in business support and recovery in post-earthquake Christchurch. Particular mention was made of the role that the Canterbury Employers’ Chamber of Commerce played together with Canterbury Development Corporation in Recover Canterbury and the fact that the Chamber had been a constant safe pair of hands for the business community since 4 September 2010 earthquake. The Leadership Award accorded to Peter Townsend was in recognition of the role he has played in leading the Chamber and in particular the intense activity across the Christchurch business community since September 2010. 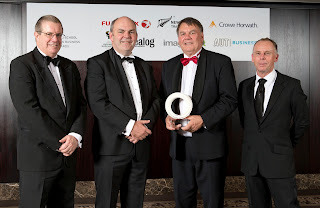 “We are really proud to have received these Awards in recognition to the tenacity and resilience of the Christchurch business community.” said Peter Townsend. “There are extraordinary tales to tell and it is good to see some of them told in Auckland, at a prestigious event which has no doubt spread the word about what is happening in post-earthquake Christchurch.” said Peter Townsend. Leeann Watson, the General Manager of the Canterbury Employers’ Chamber of Commerce who accepted the Not for Profit Award on behalf of the Chamber stated that the Award recognised in particular the work that had been done by Recover Canterbury, a joint venture with the Canterbury Employers’ Chamber of Commerce and the Canterbury Development Corporation, as well as the dedicated staff of the Canterbury Employers’ Chamber of Commerce in ensuring that business outcomes in the community were well supported and optimised.